Jazzy Junque is our must-see resale store. Once household donations are received, our team of volunteer designers who have an eye for the bargain and a deal restore, recycle, and refurbish everything from chairs, tables, sofas, glassware, china, lamps….just to name a few! But remember…. The item you see today And want to think about tonight Will be sold later today To the people who saw it yesterday And thought about it last night! Located off I45, on the east side in the Conroe Outlet Mall. Be sure to stop by. Jazzy Junque & Other Great Stuff! The Outlets at Conroe 1111 League Line Rd. 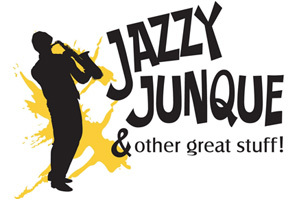 Suite 164 Conroe, TX, 77303 936-441-4500 info@jazzyjunque.org Visit JazzyJunque.org for more information. From Houston: I-45 North exit 91 League Line Rd., which is just past FM 3083 (Texas Nursery Rd.). Turn right on League Line Rd., destination will be on the right. From Huntsville: I-45 South exit 91 League Line Rd., Turn left on League Line Rd., destination will be on the right.